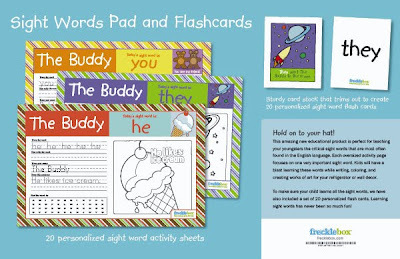 This is Frecklebox' awesome new educational product that is perfect for teaching your buddy the critical sight words that he will see most in Kindergarten. 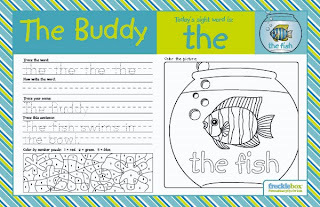 The personalized activity pad includes 20 words. 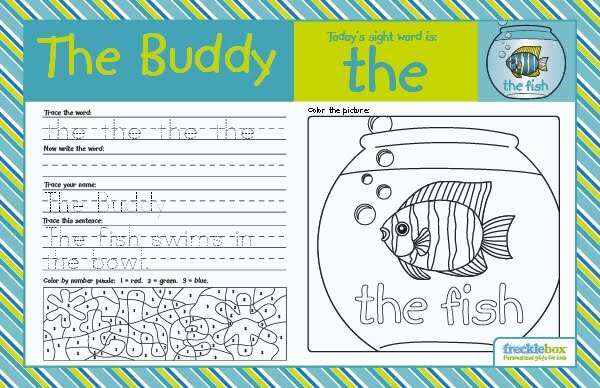 Each word is featured on an oversized activity page AND a flash card. 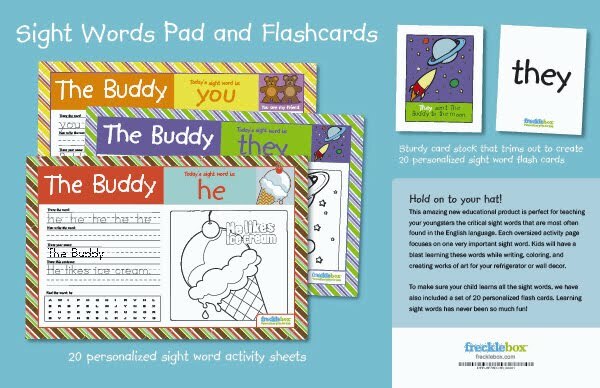 What I like most about these are that they come from Frecklebox (I'm a fan), they are personalized, and you can preview everything you create before you buy! This company is worth checking out for great personalized gifts and party favors. PLUS: Use coupon code SUMMERFUN for 15% off until 6/30!! Hey there! 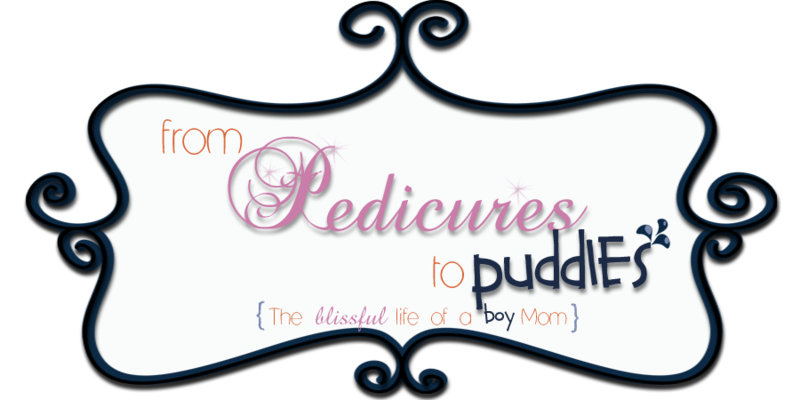 I am a former "girly-girl" that is now outnumbered in my home. I am a wife to my best friend and a mommy to Cohen (aka: The Buddy). I have traded in my designer duds for dump trucks and am loving every minute of it. If you can relate with the world of light sabers and lizards, then this is the place to be. Time to Party Tuesday: Party like a Rockstar! Time to Party Tuesday: Splash! 2010 Website Design by PinkDesignz Layout by Ourbloggertemplates. All rights reserved.